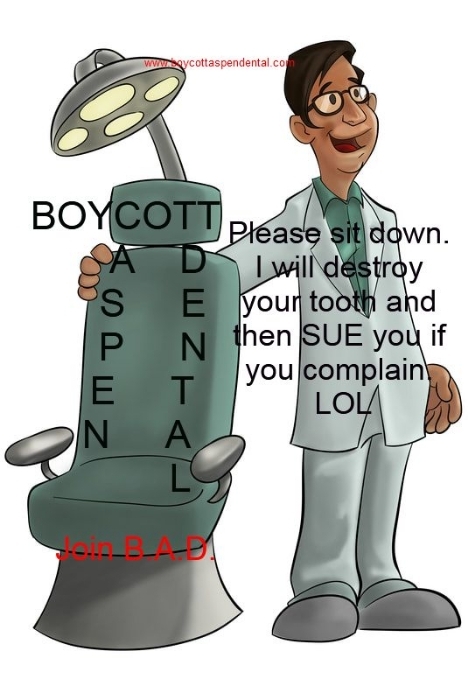 Have you been injured by Aspen Dental, and then thrown away like trash after they were done messing up your teeth? Us too! 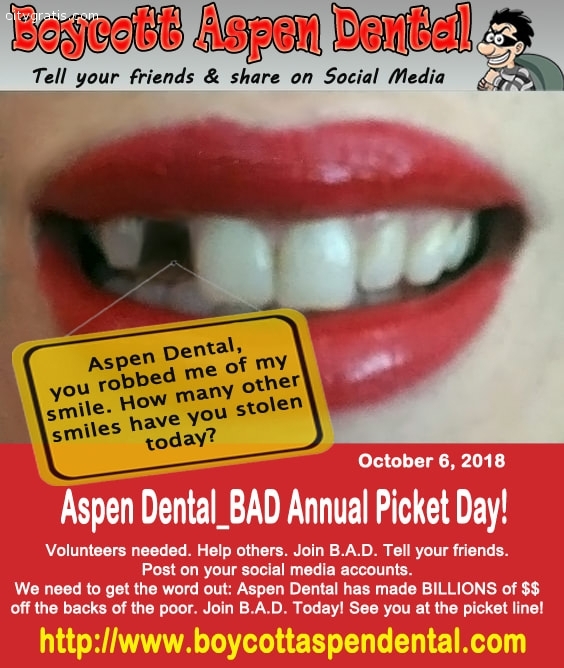 Aspen Dental has recently hired an attorney who demanded that http://www.boycottaspendental.com and http://www.twothirtydentalcaution.org be removed. INSTEAD of acknowledging that THEY caused pain, it was decided by these brilliant high paying corp execs, LETS THREATEN TO SUE OUR VICTIM SO THIS WILL JUST GO AWAY. Nope Aspen Dental your nasty gram via attorney did not magically fix everything.